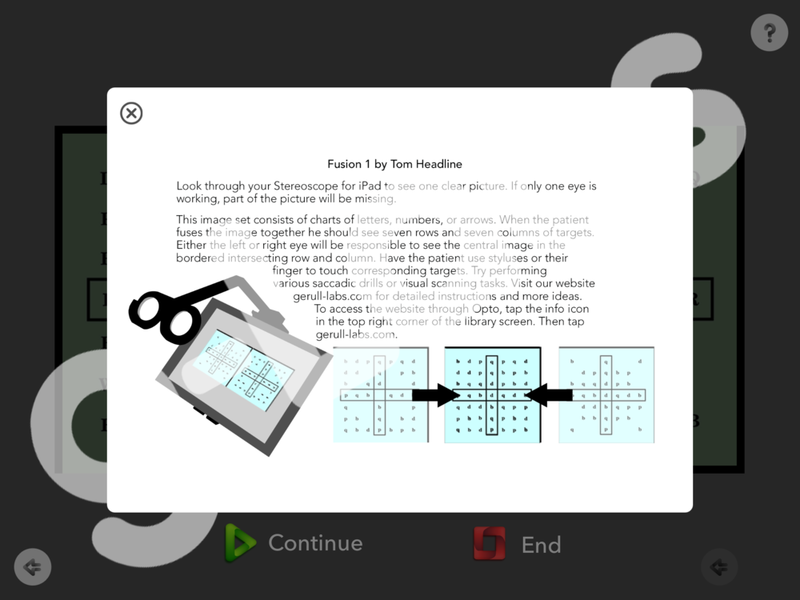 Description of the "Headline Fusion" exercise in the Opto vision training app for iPad. A G-Labs collaboration with Tom Headline, COVT. Headline Fusion is a G-Labs collaboration with Tom Headline, COVT of Headline Vision Enterprises. This activity is designed to improve saccadic accuracy, scanning skills, and fusion of both central and peripheral targets. This exercise contains eight different letter, number and arrow charts. How to Purchase: Available as an in-app purchase in Opto, the vision training app for iPad. Download Opto and find "Headline Fusion" in the in-app library of exercises. Available as an individual exercise ($12.99 USD) or at a discounted rate as part of Expansion Bundle 2 ($69.99 USD). 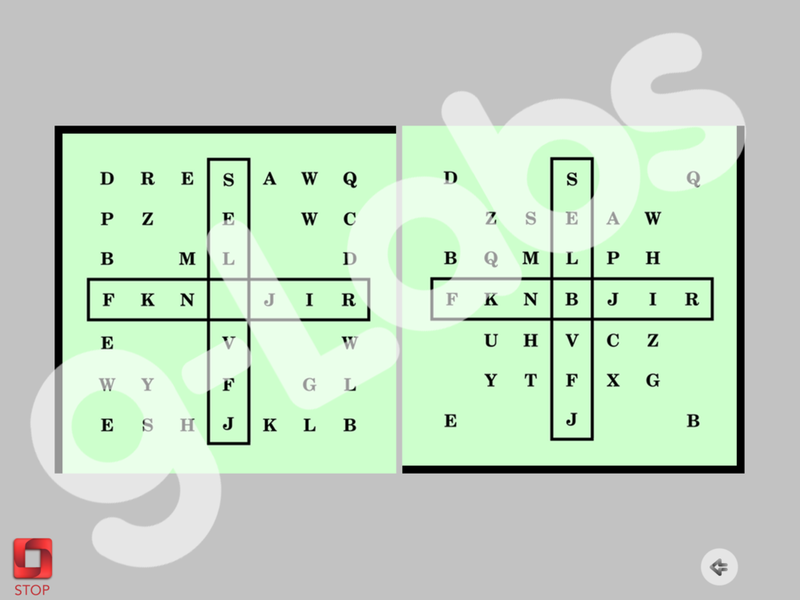 Download Opto for iPad to access the "Headline Fusion" exercise.